Hypno Clock Live Wallpaper is a live wallpaper portraying an abstract interpretation of the animated gears and parts of a mechanical watch, complete with a variable speed Swiss Tourbillon escapement, realistic component motion, and millisecond precision time keeping; it really captures the magic of clockwork! Theme friendly: Included with the live wallpaper is a powerful customization utility that lets you adjust everything from the colors of individual components, to the escapement speed, to a handful of other interesting, and visually pleasing effects! 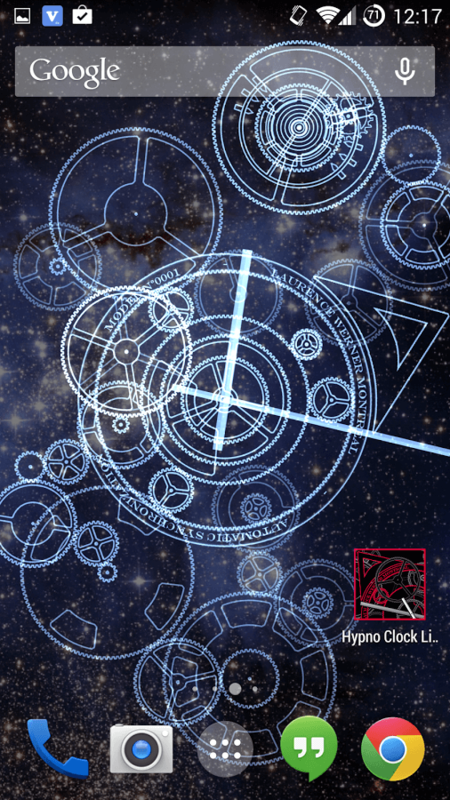 Perfect for fans of fine watches, clockwork, steam punk, the space-time continuum, or just beautiful live wallpapers in general! 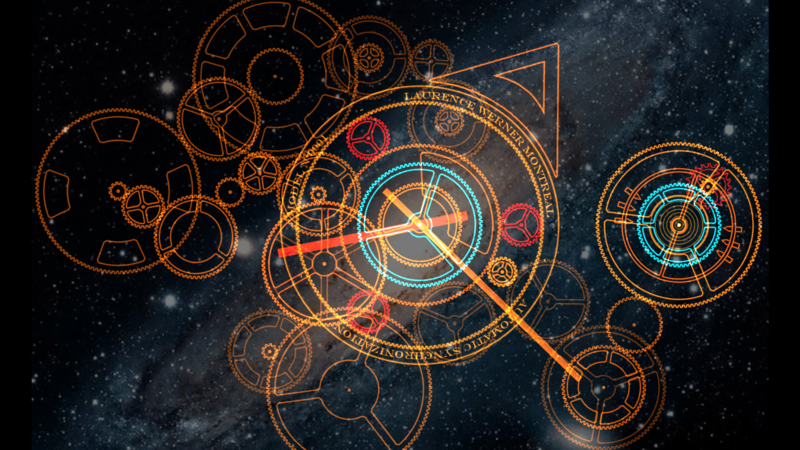 A truly hypnotizing analog clock live wallpaper! All the gears move realistically relative to one another, as they would in the physical mechanism of an actual hand-made Swiss watch, or analog clock. - Personalize each component separately: choose from over 16 million colors to better match the look and feel of YOUR home and lock screens! - Choose from multiple gear layouts. - Image wallpapers: choose from a selection of built-in images, or import your own for use as a backdrop for your Hypno Clock Live Wallpaper. - The FREE version has advertisements, the PRO does not. - You CANNOT load your saved color schemes in the FREE version. - Saved themes are stored on your phone's storage; PAID version users can load any theme saved with any version of Hypno Clock Live Wallpaper with the click of a button! Embark on a hypnotic journey into the beauty and complexity of time today! 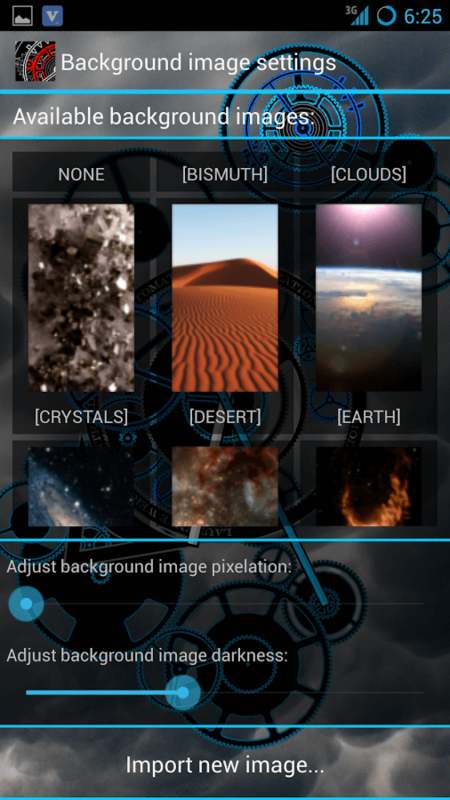 This configuration uses the special effect "Ghost Gears", with a picture of the stars as a background image. 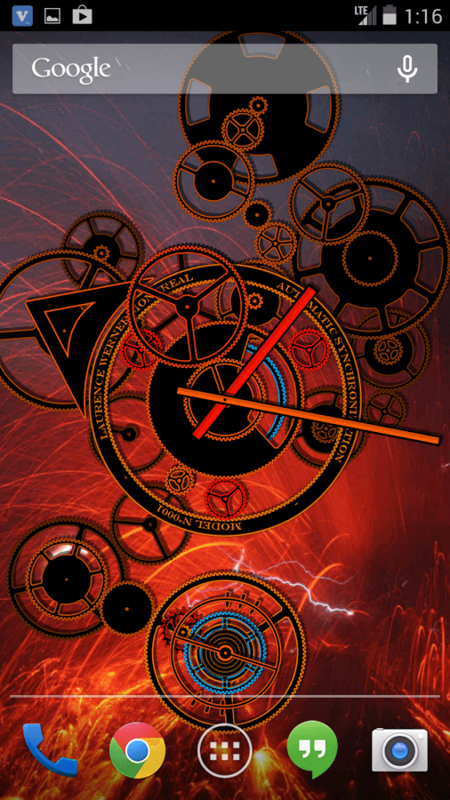 Here, Hypno Clock Live Wallpaper is set to the "Fire" color scheme, and uses the beautiful "Volcano" as a background image. 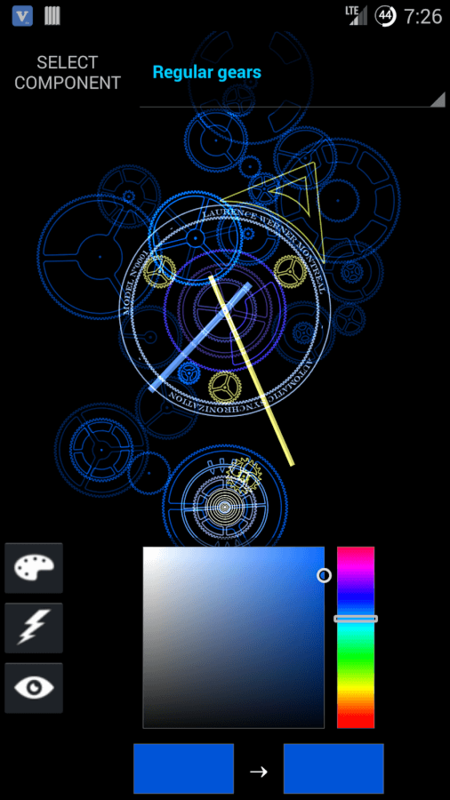 The Hypno Clock Live Wallpaper Color Configuration Utility... For when you need to paint absolutely everything on your clock! Here we have the Background Image Selection Utility. It allows you to use almost any image as the backdrop to your Hypno Clock. 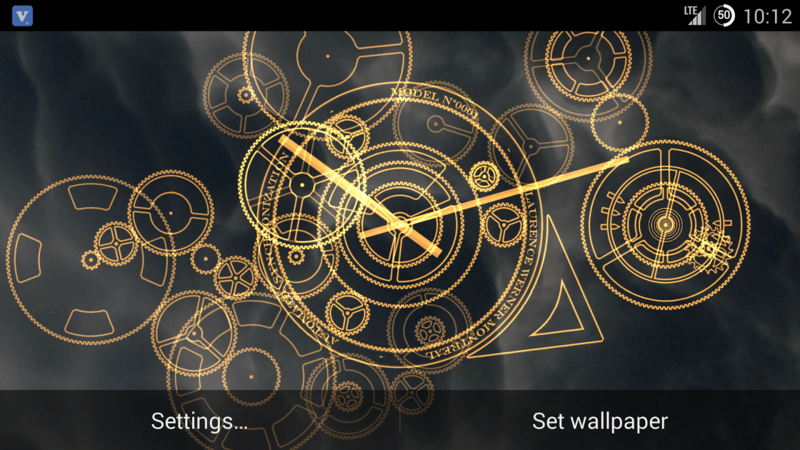 Hypno Clock Live Wallpaper is compatible with all device orientations, and even supports multiple gear layouts for each. And here's that picture you probably saw up top when you first arrived on this page... Mesmerizing stuff!